Opencast coalmine effluent contains higher concentrations of Cd, Cr, Co, Ni and Pb. Biofiltration of these metals has been demonstrated successfully with the help of aquatic macrophytes i.e., E. crassipes, L. minor and A. pinnata. Experiments revealed E. crassipes reduced highest concentration of heavy metals followed by L. minor and A. pinnata on 20th days retention period. Plant tissue analysis revealed higher accumulation of metals in roots than leaves. 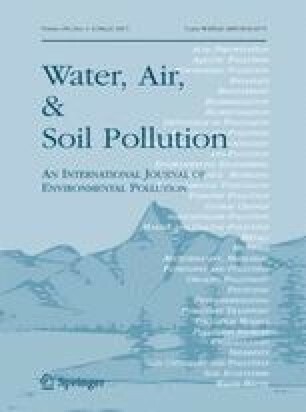 Highly significant correlations have been noted between removal of heavy metals in effluent and their accumulation in roots and leaves of the experimental sets. Translocation factor also revealed lower transportation of metals from root to leaves. Reduction in chlorophyll and protein content was noted with the accumulation of heavy metals. N, P and K analysis in plant tissues indicated continuous decrease in their concentration with increasing metal concentration. Negative and significant correlations between metal accumulation and N, P and K concentrations in plant tissues showed adverse effects of heavy metals. Analysis of variance (Dunnett t-test) showed significant results (p < 0.001) for all the metals in different durations. Authors are thankful to Council of Scientific and Industrial Research, New Delhi for financial assistance.